Dir. Anthony Baxter, UK, 2016. 80 mins. Just before I left for the screening of You’ve Been Trumped Too, I saw that Donald Trump had risen to just one point below Hillary Clinton in the polls to determine who will be the 45th President of the United States. And then seeing this film by British filmmaker Anthony Baxter following on from his first film, You’ve Been Trumped, scares me even more! We now move on to the recent documentary which tells us that there are 100 people working on the golf course and its amenities. 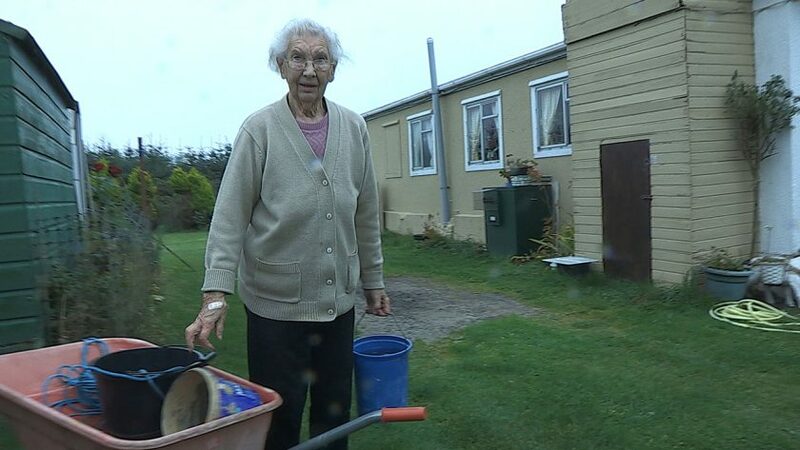 Mollie now 91 is still without a water supply five years later. Mollie Forbes and her farmer son, Michael fight on. Donald Trump – as by now the whole world knows – is very keen on being President of the United States, and judging by the huge number of people attending his rallies, a large proportion of American voters agree with him. Although Donald speaks against immigrants, his hotels are staffed mainly by non-English speaking workers. Michael Forbes goes to the Republican National Convention in Cleveland Ohio, where Donald Trump will be nominated as the Republican candidate for President. Michael believes that ‘The Donald’ is selling the same lies he told in Scotland. He tries to tell the people at the rally about the real Trump but very few change their intention to vote for their hero. Michael refused to sell his land to Trump and he believes that is why his water was cut off. He and other residents are most upset that Trump ruined the beautiful dunes in order to build his golf course. Michael manages to repair the pipe to the water supply – it was deliberately cut off by Trump’s workers. After many years Mollie can now have a shower once more!